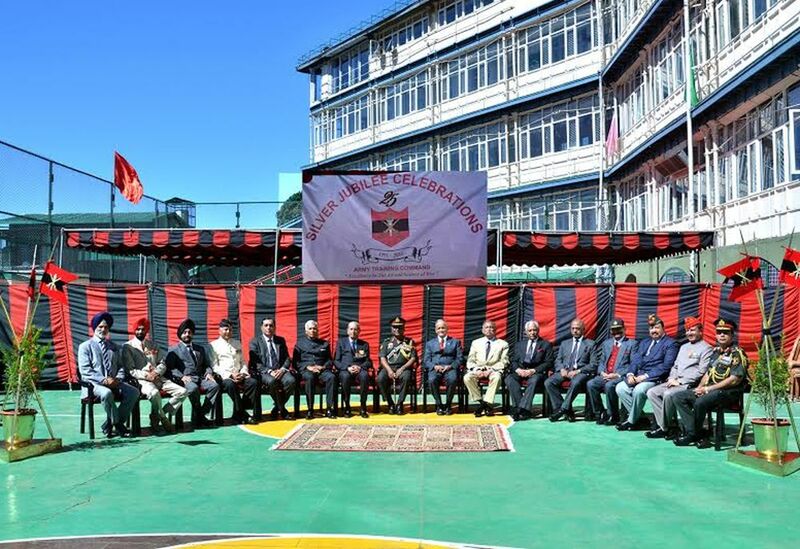 Shimla: Headquarters Army Training Command (HQ ARTRAC) celebrated its Silver Jubilee here today. To commemorate the 25th Raising Year of the Army Training Command, various professional seminars & events, adventures activities and exhibitions were organised throughout the year at HQ ARTRAC and in the 32 training establishments. The yearlong inspiring and rousing celebrations culminated with series of events, over the last week. The Shimla fraternity was invited to witness the thrilling and breathtaking adventure activities at Annandale Ground, Shimla. Para Motor, Motor Cycle & Band Display, Sky Diving and Dog Show left the spectators enthralled and spellbound. Other events included a ‘Barakhana’ and Musical Evening for Junior Commissioned Officers, Other Ranks, Defence Civilians, Veterans and families of Team ARTRAC. A ‘Special Sainik Sammelan’ for the troops of HQ ARTRAC, was held today, which was attended by former Army Commanders of ARTRAC. Lt Gen PM Hariz, SM, VSM, GOC-in-C, ARTRAC appreciated and enthused all ranks and defence civilians to continue maintaining high standards of professional work. He also thanked the former Army Commanders for their valuable time and presence, and whole hearted participation during the celebrations. The Special Sainik Sammelan culminated with release of ‘First Day Cover’ by Postal Department, to celebrate ARTRAC Silver Jubilee. 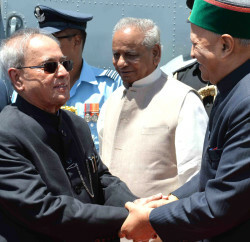 Former Army Commanders including Lt Gen AS Kalkat, SYSM, PVSM, AVSM, who had raised ARTRAC in the year 1991 were present during the Silver Jubilee celebration.